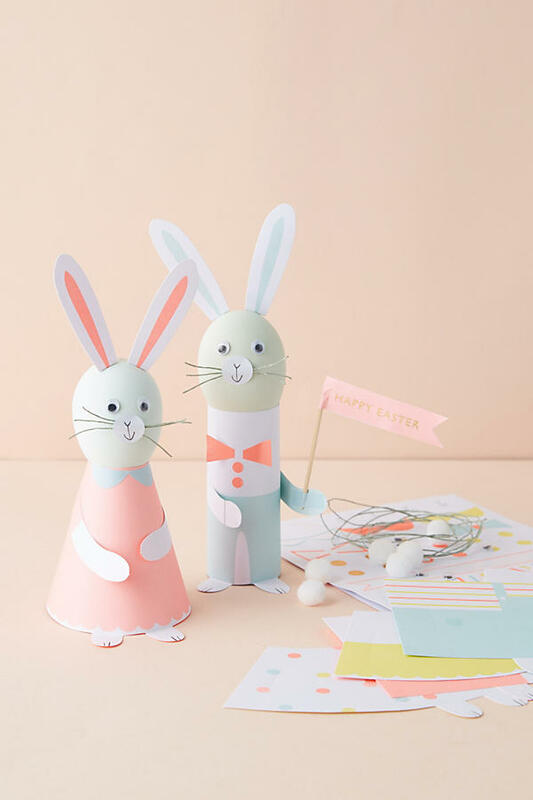 Hosting an Easter party or attending one, here’s some really cute Easter merchandise. 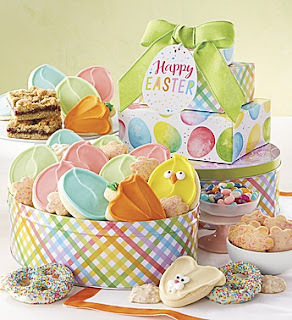 From gifts to party material to eatables, find everything Easter. A really cute flower basket with pastel carnations, poms and asters with perky bunny ears and Easter eggs. 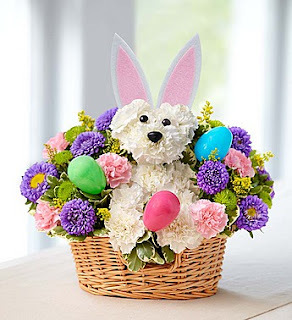 A great gift for Easter party. 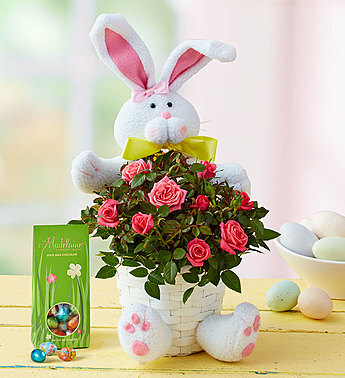 Here’s a really cute felt bunny, a woven basket, beautiful rose planter along with a pack of foil wrapped eggs. Have it delivered for a beautiful surprise. Easter celebrations are not complete without Easter sweets. A fine assortment of butter cream frosted cookies, raspberry crump brownie bars, sweet and salty pretzels, jelly beans and butter shortbread cookies. 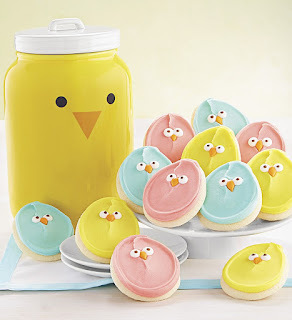 A high quality keepsake cookie jar filled with frosted buttercream chick cookies. A thoughtful Easter gift that both mommy and kid will love. 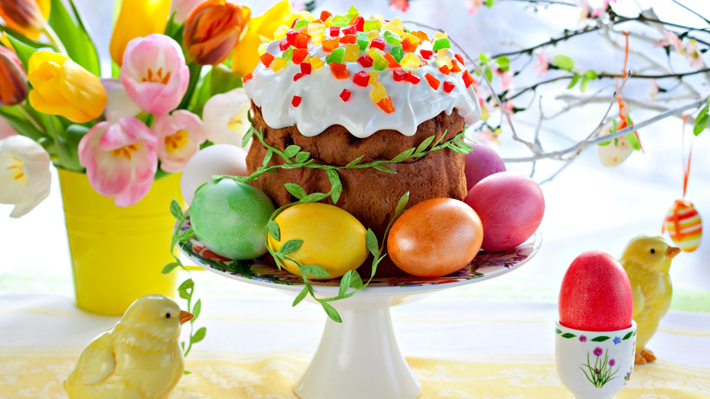 Have fun in kids’ favorite Easter activity, coloring eggs with food-safe colors. 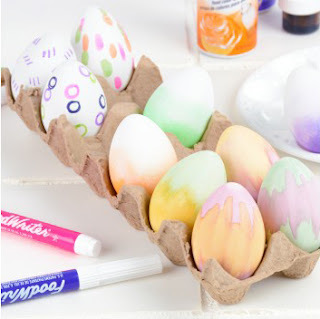 Children will love trying different techniques to get sweet, playful designs on the eggs. Bunny craft kit. Ideal gift for creative kids. Includes stickers, pomp oms, paper cutouts, googly eyes etc. 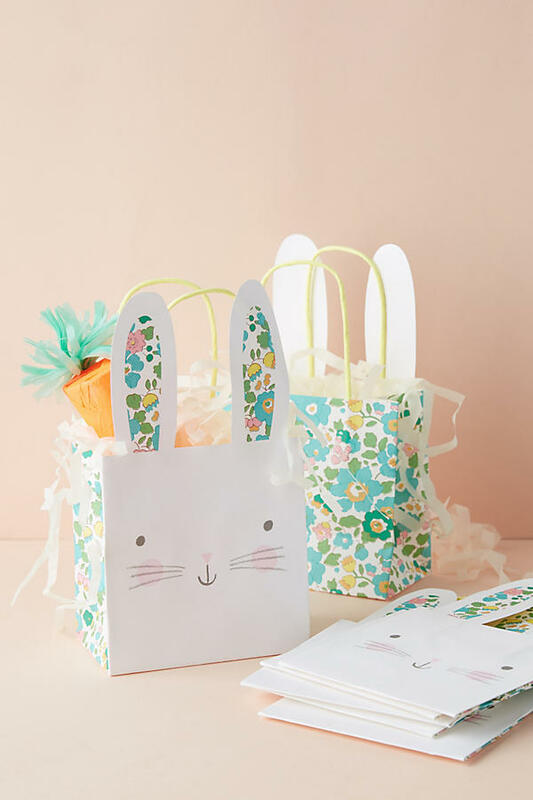 Bunny paper bags, perfect for Easter party favors.